Чуть ниже представлены все песни и музыка из фильма Рок в летнем лагере, всё можно слушать онлайн бесплатно! Вы можете, не скачивая, найти нужную песню. Качество треков онлайн ниже (это лишь образец), чем тех, что можно скачать. Также можно поставить онлайн плеер себе на сайт, блог или форум. 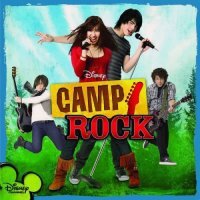 Camp Rock tells the rock n' roll Cinderella story of Mitchie Torres, a teen with an amazing voice and a driving ambition to be a pop singer who wants to spend her summer at a prestigious rock camp. 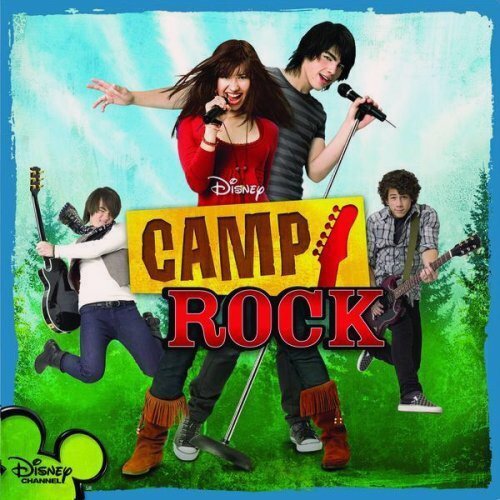 Unfortunately, an expensive music camp is a bit out of reach for her family, but her mother gets a job as Camp Rock's cook so that Mitchie can attend as long as she helps out in the kitchen between classes. Befriended by fellow camp member Caitlyn but intimidated by the immensely talented Tess Tyler and her friends Peggy and Ella, Mitchie lives a double life hiding that she is the cook's daughter and posing as a well-to-do camper in order to become part of the hottest clique at camp. When she's overheard singing, but not seen, by teen pop star and celebrity camp instructor, plus lead singer of Connect Three, Shane Gray, he is completely taken and sets out to find the girl behind the beautiful voice. Meanwhile, Mitchie will have to learn how to confront her fears, step out of the kitchen and into the spotlight as herself.